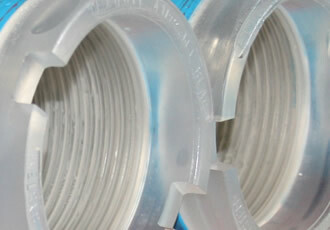 Manufacture and supply of pipe protection products, thread protectors, bumper rings, plastic CNC threaded pipe protectors. 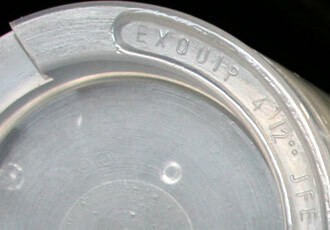 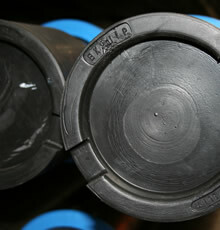 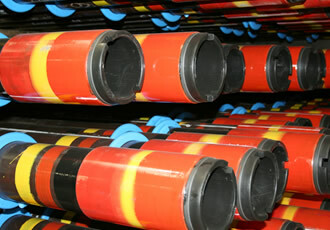 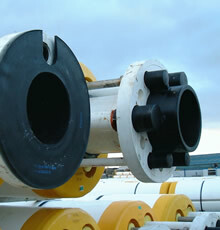 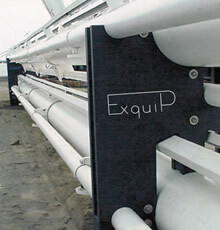 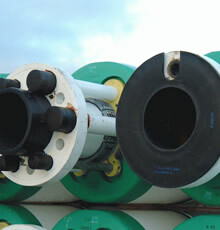 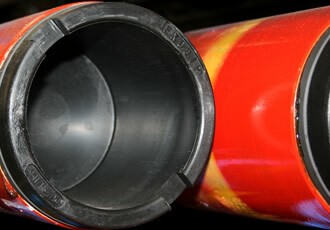 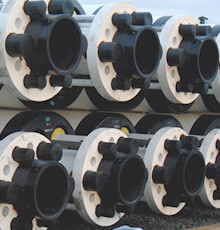 The pipe protection specialists - Exquip International. 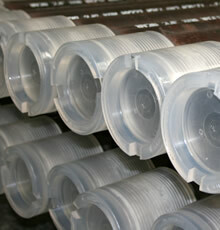 Exquip protectors are completely environmentaly friendly, the material used is neutral. 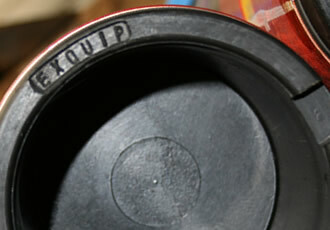 Exquip will take back all our used protectors, please contact us for further information. 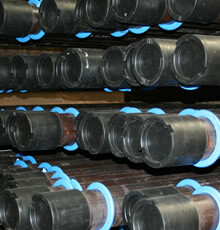 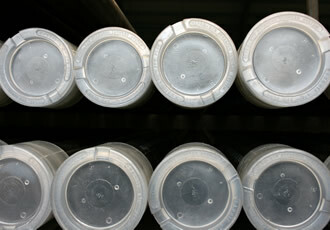 All damaged protectors are milled and this material is used in the manufacturing process. 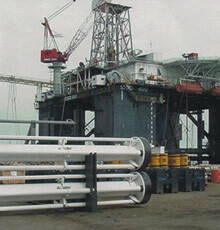 Exquip have Manufacturing / Refurbishing bases in Hamm Germany, Montrose UK , Houston Tx with storage facilities in Singapore. 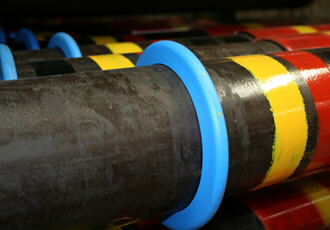 We are Certified to the ISO 9001:2008 International Quality Management Standard. 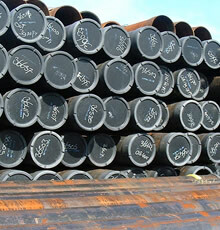 High quality elasticity and natural stability. 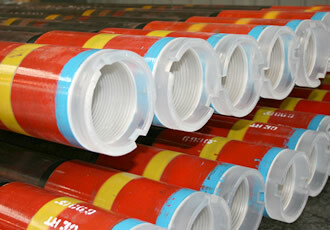 Achieved through utilisation of advanced polymer engineering and newly developed manufacturing methods. 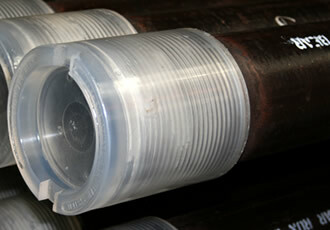 CNC turning lathes are used for processing Exquip Protector blanks ensuring perfect reproductibility. 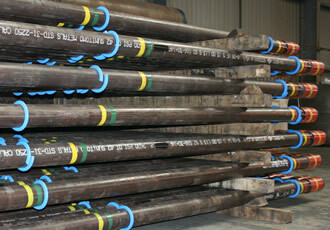 Customer requirements for special, sizes and dimensions are easily realised. 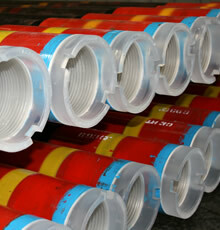 The performance of Exquip protectors is characterised by ease of use, and safe and economic operation. 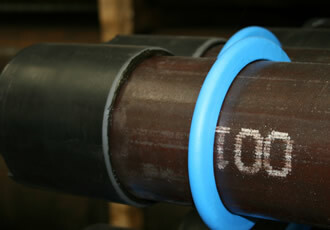 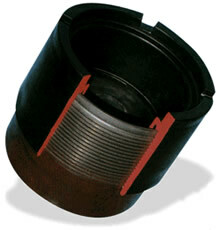 Slots are provided for easy installation / removal of protectors with simple tools.